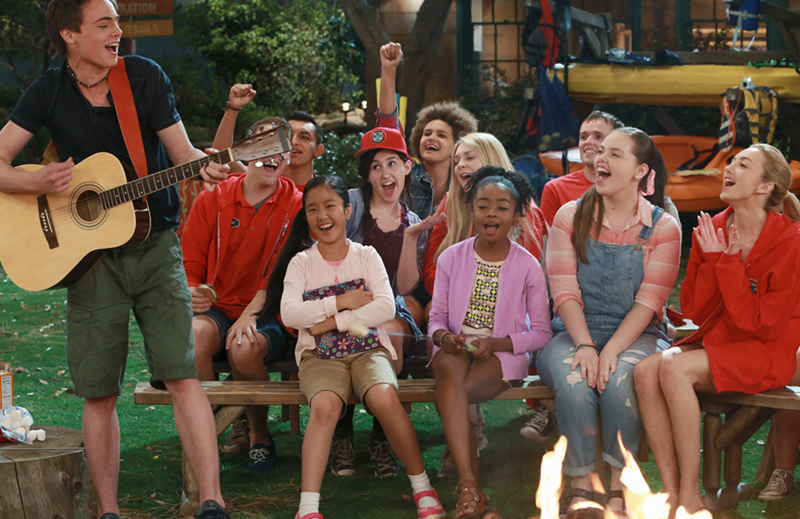 Bunk’d (television) Series on Disney Channel, premiering on July 31, 2015. Emma, Ravi, and Zuri Ross have left their New York penthouse for a summer at Maine’s rustic Camp Kikiwaka, where their parents met as teenagers. Now CITs (Counselors in Training), they must learn the ropes from the overly cheerful head counselor Lou and the camp heartthrob, Xander. Zuri makes new friends with two younger campers, the uptight Tiffany and compulsive fibber Jorge. The camp’s owner, Gladys, is even scarier than the legendary creature that is rumored to stalk the grounds, and with the help of her sneaky niece Hazel, she’s out to get the Ross kids because of her decades-old rivalry with their mom. Stars Peyton List (Emma Ross), Karan Brar (Ravi Ross), Skai Jackson (Zuri Ross), Miranda May (Lou), Kevin Quinn (Xander), Nina Lu (Tiffany), Nathan Arenas (Jorge). From It’s a Laugh Productions.